Lyric Firmware Update MR8 is Here! Hi DIYers! We have received news from Honeywell that Lyric Firmware Update MR8 is now available! This is the latest firmware update for the Honeywell Lyric Controller, and it is currently available for free download. End users can expect a few minor system improvements with the update. The WIFI indicator in the upper-left corner will now display a red X if WIFI connectivity goes down. The Honeywell SiX Series Sensors now have a shorter RF transmission supervision interval. It is now six hours for all burglary devices, four hours for the Honeywell LKP500 Keypad, and two hours for all life-safety devices. Previously, the RF transmission supervision interval was 12 hours on all devices. In the SiX Programming Menu, the Zone Number will now be shown in Red if the zone is faulted. Additionally, a tamper message will be displayed in Red if the zone is tampered. The SiX Programming Menu now shows every enrolled SiX Series device for quick access. Newly enrolled sensors will be labeled "Newly Enrolled", which will be displayed in place of the Zone Number. The Honeywell LKP500 Keypad will no longer beep after performing an update. The Honeywell LKP500 Keypad will no longer announce Night Stay when Voice is disabled. Eaton Cooper Z-Wave Light Switches are now supported. Additionally, the update includes various changes that will make it easier for your alarm company to monitor your system. That is why performing the update is crucial for all Lyric System owners. Performing the update is very easy. First, you must make sure that your Lyric System is ready and has no trouble conditions, including any tamper cover and low-battery messages. It must be actively monitored with a working communication path. Start from the main screen of the system, and choose Security, followed by Tools. Then enter your system's Installer Code, which is 4112 by default. Then click on the Update Firmware button. The button should grey out to indicate that it has been selected. You can then return to the home screen, and the update should be applied automatically. It will typically go through in a few minutes with a WIFI connection, but it may take up to an hour with cellular only. Once the update is ready, the system will reboot to complete the process. You can check the system revision to confirm the update. Go to Security > Tools > Master Code (default 1234) > Advanced > System Information. Then check the revision to make sure it reads 01.08. If you are an Alarm Grid monitored customer with any questions about the the MR8 Firmware Update, you can email support@alarmgrid.com for more information. You may also call us at (888) 818-7728 from 9am to 8pm EST M-F. We look forward to hearing from you! Hi DIYers! Today, we wanted to show you a YouTube video review of one of our Lyric Kits made by Gabe from Security Baron. Gabe checks out each component of our Lyric AT&T-LTE 3-1 Kit. The kit includes a Lyric Panel, LTE communicator, 3 VERSA Contacts, a Honeywell PIR Motion and an LT-Cable. We think this is a tremendous video, and we would really like to thank Gabe and Security Baron for putting it together. We certainly encourage all our customers to do unboxing videos just like this so that they can share their Alarm Grid experience with others. It makes us very proud to know that many people out there are making great use of our products. In order to provide better information for our customers, we would like to go through and make some small notes on what was stated in the video. Although the video was super informative, we still can offer some further insight on the equipment that was presented. First, the wireless door and window contacts featured in the video were actually VERSA-2GIG Door and Window Sensors. VERSA is the same company that manufactures the famous Honeywell 5800MINI Sensors. The VERSA Sensors are exactly the same as the 5800MINI Sensors, but they are available at a much lower cost. Those particular VERSA Contacts will work with the Honeywell Lyric Alarm System, as the 2GIG Go!Control and 2GIG GC3 Systems. Alarm Grid gets these sensors direct from VERSA to provide the lowest possible price for customers. The VERSA Sensors are uni-directional devices that only send signals to the alarm system. They are not protected by any wireless encryption, but this is not a major concern for most users. However, Alarm Grid also offers a very similar kit that features encrypted door and window contacts. That kit provides Honeywell SiXMINICT Door and Window Contacts instead of the VERSA-2GIG Contacts. The bi-directional SiXMINICT Sensors use 128-bit AES encryption for added wireless protection. The motion sensor shown in the video was a Honeywell SiXPIR Motion Sensor. This sensor works by using passive infrared (PIR) technology to detect the changes in infrared energy that occur with movement. Whenever a person or large object comes within the sensor's field of view (FOV), it will detect its energy signature and alert the security system. Just like the SiXMINICT Sensors, the SiXPIR Motion Sensor also uses bi-directional 128-bit AES encrypted communication. For optimal performance, the SiXPIR should be mounted at a height of between 7 and 9 feet. The power cable that is shown is called the Honeywell LT-Cable. This handy accessory comes pre-prepared, and a user will not have to strip any wires to power on their Lyric Panel. By using the LT-Cable, the entire power-up process can be completed with just a simple screwdriver. Alarm Grid includes this cable with many of our system kits to make things easier for DIY users. Not specifically mentioned in the video is the Honeywell LYRICLTE-A Cellular Communicator. 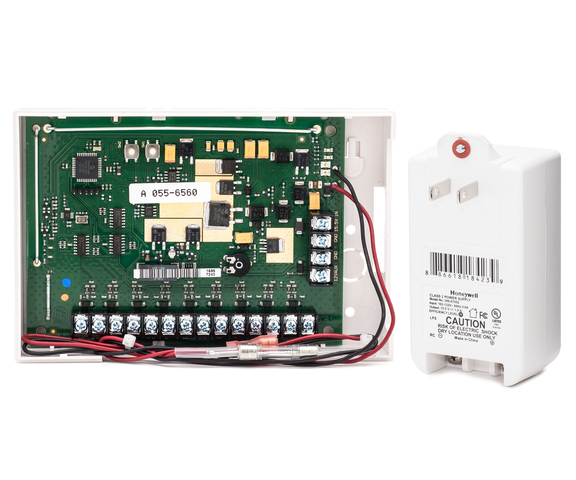 This module is inserted into the side of the Lyric Panel, and it allows the system to communicate with the AlarmNet Servers through the AT&T LTE Network. Cellular communication is perfect for alarm systems because of its fantastic reliability and super fast speeds. By using this communicator, the Lyric System will be immediately capable of using a dual-path setup with both cellular and WIFI. In the video, it is noted that the Lyric System works with Apple HomeKit. This is one of the best features of the Lyric, and pairing the system with HomeKit is very easy. By using the platform and a compatible HomeKit Hub, such as an iPad or Apple TV, a user can control their HomeKit devices remotely using their iPhone. We would also like to mention that the Lyric is compatible with Amazon Alexa through Total Connect 2.0. For clarification, you can only stream live video on the Lyric Panel using a legacy Honeywell IP Camera. You cannot stream video directly from the panel using a newer Honeywell HD Camera, such as the Honeywell IPCAM-WIC2 mentioned in the video. Instead, these cameras can only be streamed through the Total Connect 2.0 service. For DIY users, we also recommend adding a Honeywell LCP500-DK Desk Mount. This device will allow the user to install the system without having to mount it to the wall. Instead, it can be conveniently rested on any sturdy table or desk. You can also mount the wireless sensors using double-sided foam tape. This will let you complete the entire installation process with nothing more than a screwdriver. You don't need to drill any holes or use any power tools! 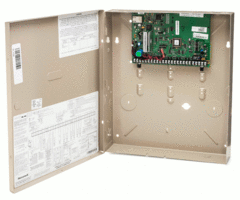 The Honeywell Lyric is not the only alarm control panel offered from Alarm Grid. We also offer many great systems from other companies like Qolsys and 2GIG. Our website also features a wide-selection of pre-packaged wireless system kits to fit a user's unique needs. All of the systems we offer are perfect for pairing with our alarm monitoring services, which start at as little as $10 per month. We can even takeover many existing systems so that users can get started without having to purchase new equipment. If you want to learn more about Alarm Grid, or if you need help planning a security system, we invite you to reach out to us. The best way to contact us is to send a quick email to support@alarmgrid.com and let us know what you are looking for. If you would prefer to speak with us by phone, you can call us at (888) 818-7728 from 9am to 8pm EST M-F. We look forward to helping you meet your security needs! Hi DIYers! We recently received news that the integration between the Honeywell Lyric Controller and Apple HomeKit won the inaugural IoT integration award for Physical Security - Intrusion from CE PRO. This award highlights the brilliance of the integration between the Lyric and HomeKit. The Internet of Things (IoT) Awards showcases various IoT-related products that serve residential and commercial markets. The 2018 edition represented the inaugural IoT awards. The entries were judged based on innovation and technological advancement, their ability to integrate with other products, end-user benefits, integrator benefits and overall value. With this award, the tech community has recognized the compatibility between the Lyric and HomeKit for being incredibly valuable to the security and intrusion industry. 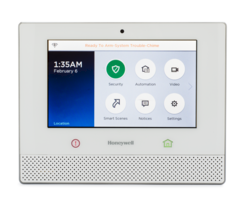 There are many factors to love about the integration between the Honeywell Lyric Alarm System and the Apple HomeKit Platform. Countless iOS users have taken advantage of the Apple HomeKit service and the smart features if offers. By using HomeKit, a user can control their Lyric System using voice commands that are sent through Siri. This can be done from virtually anywhere, as long as the user has access to their iOS device. The user can also have their Lyric System respond automatically with various HomeKit smart scenes that have been created. This offers much convenience for the user in creating a robust and functional smart home. Users can also check the current status for their Lyric System and its security sensors through HomeKit as well. We recommended checking this FAQ on the differences between Total Connect 2.0 and HomeKit for more information on what HomeKit can offer. Even as a HomeKit Security system, it is recommended that the user still keeps the Total Connect 2.0 service. 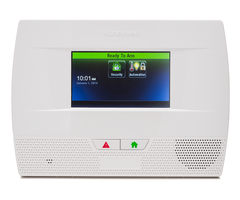 The Honeywell Lyric Controller is available for purchase on the Alarm Grid website right now. We also offer a certified refurbished version of the system that will provide the same great HomeKit compatibility as a new system at a lower cost. You can get your Lyric started with HomeKit as soon as you have it activated with an alarm monitoring plan from Alarm Grid. Monitoring service is required to activate the HomeKit functionality on the Lyric Controller. More information about pairing the Lyric System with Apple HomeKit can be found in this helpful FAQ. Our team looks forward to working with you! Hi DIYers! Did you know that Alarm Grid offers certified refurbished versions of some of the most popular Honeywell Security Systems and accessories? Our refurbished offerings work just as well as any new equipment. Going this route can be a great option for cutting overall system costs. All of our certified refurbished equipment is sent to us directly from the manufacturer, Honeywell. It starts when the previous owner of an eligible piece of Honeywell equipment sends the product back to Honeywell for one reason or another. Honeywell will clean up the equipment, restore any defects and basically ensure that it works good as new. With Honeywell's strict oversight, the refurbished equipment is guaranteed to function exactly the same as any new equipment. We then purchase this equipment from Honeywell. Any customer who buys this equipment will have it professionally sent to them from the Alarm Grid headquarters. In the highly unlikely event that the refurbished equipment does not function as it should, Alarm Grid offers a warranty protection in conjunction with the original warranty Honeywell put on the product. The original warranty will depend upon the manufacture date of the equipment. We will honor any remaining warranty from Honeywell that is left on the equipment, or we will offer our own warranty of up to 90 days, whichever is longer. While we are very confident in all of the refurbished equipment we offer, we fully understand that some customers will want some protective measures put in place before buying this type of equipment. If you have any questions about our refurbished products, please do not hesitate to reach out to us! You may email us at any time at support@alarmgrid.com. You may also call us during normal business hours, which are 9am to 8pm EST Monday thru Friday.